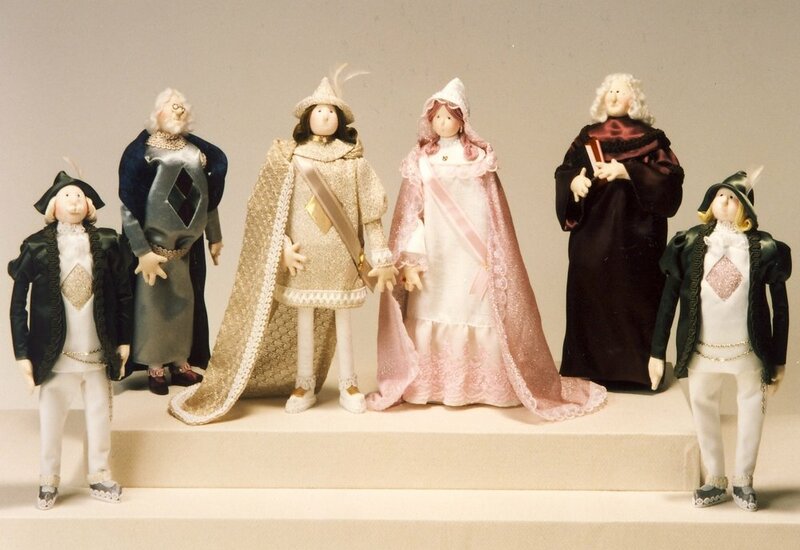 Tomoko Ikeda's original doll art collection. Face and posture are marked. My main creative theme is to portray these savors within scenes during the afternoon of life. I hope you can imagine each figure's past, future and its current state of mind. Figures whose features and postures are marked by time. Day-to day scenes of children. The castle of fabrics is created from a variety of cloths. Each material's unique texture is in full play. Once the castle is completed, it needs residents. then it also needs guards to protect the castle as well as the horses for King's outing. : Cloth, leather, wood wool, absorbent cotton, silk threads, wire, etc. Japanese doll artist Tomoko Ikeda's Homepage. Doll collections, Photo gallery, Biography, Show, Tomokos photographic book "TOKI NO FUKEI--Scenery of Time", recent news..